Inspired Color. Defined Performance. : What Color is that Dress? The internet is bustling over a photo that is causing lots of controversy. 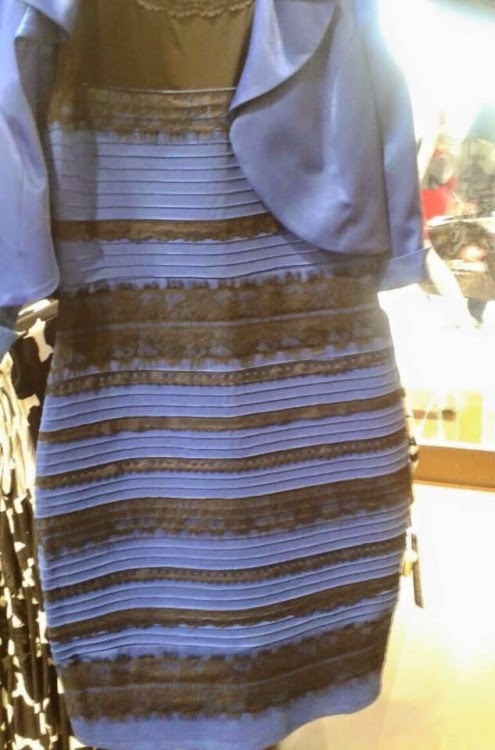 This photo was posted to Tumblr with a simple question: What color is this dress? Who would have thought it would become an internet sensation. There are two main responses: White with Gold or Blue with Black. 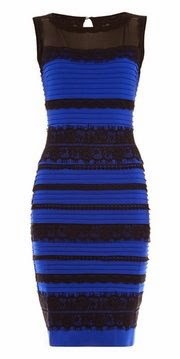 The true colors of the dress are blue and black. You can see the same dress below. By using Photoshop, you can see what happens to the photo when you limit the light coming in from the background. The dress is starting to look like the professional photo. Light is an important aspect to how we see color. Our brains are good at correcting for the effects of lights. 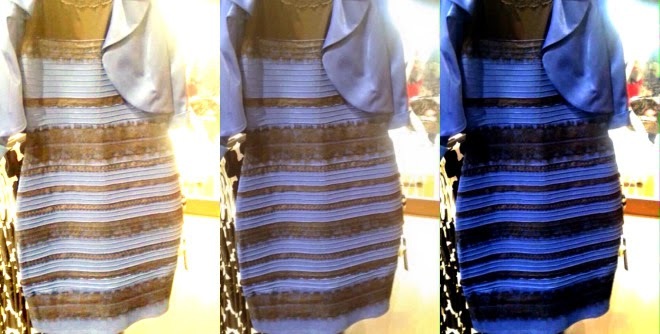 The reason "the dress" looks white and gold in some pictures and it looks blue and black in other pictures is because colorants in the dress can behave differently under different lighting conditions. If a colorant appears to be the same color under different lighting conditions, then it has color consistency. We interpret the color of objects based on how we interpret the light around objects. This is why when you match a tie to a shirt in the store and then you wear it outside it may mismatch. This phenomenon is called metamerism and the only way to prevent this from happening is to spectrally match the color. The color may not be color constant, but it will match in various illuminations. Tell us what you see? White and Gold or Blue and Black? R&D Manager – Core Technologies, Americhem Inc.